Peco-Inspx is an expert in x-ray system design, application engineering, and operations. Peco-InspX has tremendous experience in demanding, high-performance applications. Rich Cisek himself has years of hands-on experience. Peco-InspX was Built on material experience in Silicon Valley and design of Air Traffic control systems and has a deep background in data-driven operational optimization. Peco-InspX has been designing solutions for Food and Beverage Customers since 1953. 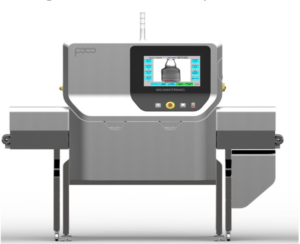 Peco-InspX has extensive experience in high-performance x-ray applications but also does vision, seal inspection and product handling operations. 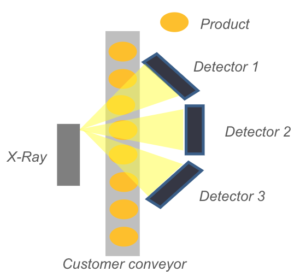 Why Inspect Glass With X-ray? Source Manufacturing Contamination: While manufacturers use specialized inspection equipment, the process isn’t perfect resulting in recalls. Filling and Capping Contamination: Fillers can score glass bottles – breaking off chips, capping machines can break off the top of jars. Filler/capper rinsing is not a 100% effective way of ensuring these contaminants are removed. Very High Rate of Technical Change: Advances in imaging hardware and software are dramatically improving the capability of x-ray systems. 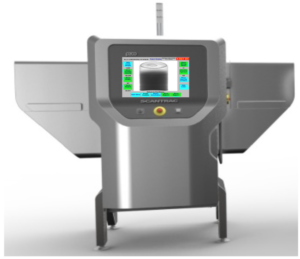 X-ray Inspection machines have conditions and capabilities that are interdependent of each other. The following components and their relationships are described below: The type of data the machines produce, and under what conditions, as well as the capabilities of machines and limitations to inspection. Container Integrity: Find container imperfections including thin sidewalls. Foreign Material Detection: Detect glass, metal and other foreign material. Fill Volume Measurement: Much more accurate than simple fill level measurement. Filler Valve Monitoring: Get very precise insight to fill level performance. 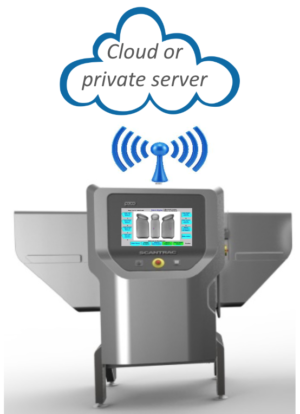 Speed: Very high-speed applications lose inspection some degree of inspection fidelity. Product Noise: How clean is the image? Conveyance: Can the containers be transferred or is a “non-contact” solution better? Container Spacing: Can containers be reliably spaced? Line Space: How much room is available? Operational Capabilities: How would this get operated in the plant? Advanced Side-View X-Ray designed to inspect rigid containers (metal cans. composite cans, plastic containers). Also available in a Solo Plus configuration for larger containers. Mounts over customer conveyor system. 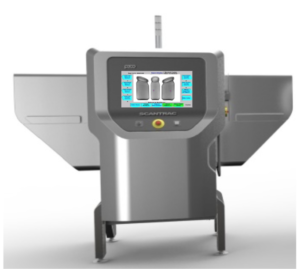 Advanced Triple-Side-View X-Ray system designed to inspect glass containers for glass and steel fragments. This machine mounts over the customer conveyor system. 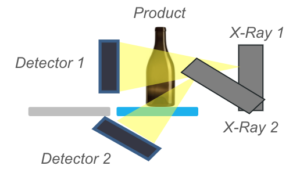 Advanced Dual-Side-View X-Ray system designed to inspect glass containers for glass fragments. Utilizes a unique “see-thru” conveying system for high-resolution base inspection. If you still have questions regarding X-ray Inspection after reading this blog post, we highly recommend watching the full version of the Webinar here, and scheduling a time to talk with a representative from Peco-Inspx.